Rock band performs on stage. Guitarist plays solo. 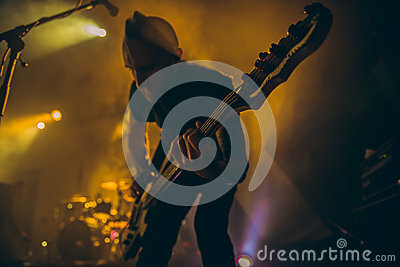 silhouette of guitar player in action on stage in front of concert crowd.